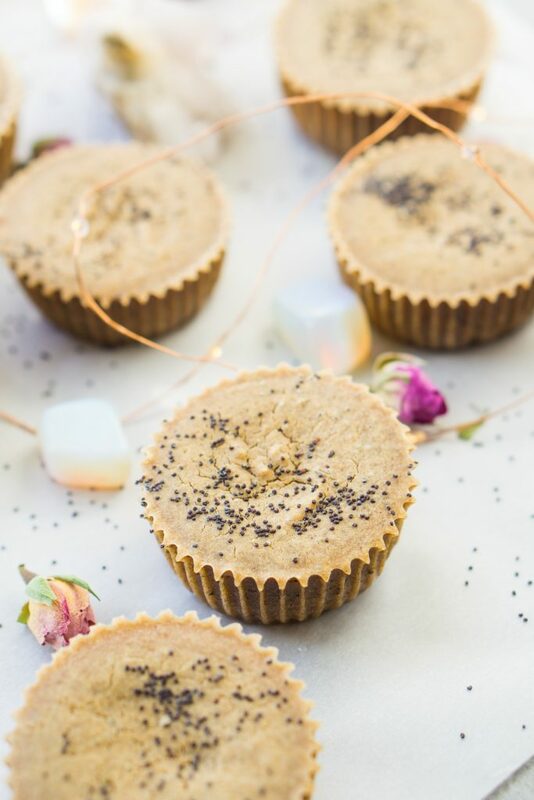 Buckwheat lemon poppy seed muffins (vegan, gluten-free, body-ecology) is a spin-off recipe from my sprouted waffles as you can make use the same exact ingredients and make muffins. I’ve been craving lemon poppy seed muffins lately and I’ve never actually made them myself before. When I was younger I would have my Mom or Dad stop at a local deli that would sell about 12 mini lemon poppy seed muffins and I would eat the tops of all of them and leave them for whoever wanted my leftovers. It’s a really fun memory of mine and shows I’ve always been a very specific and picky eater haha. 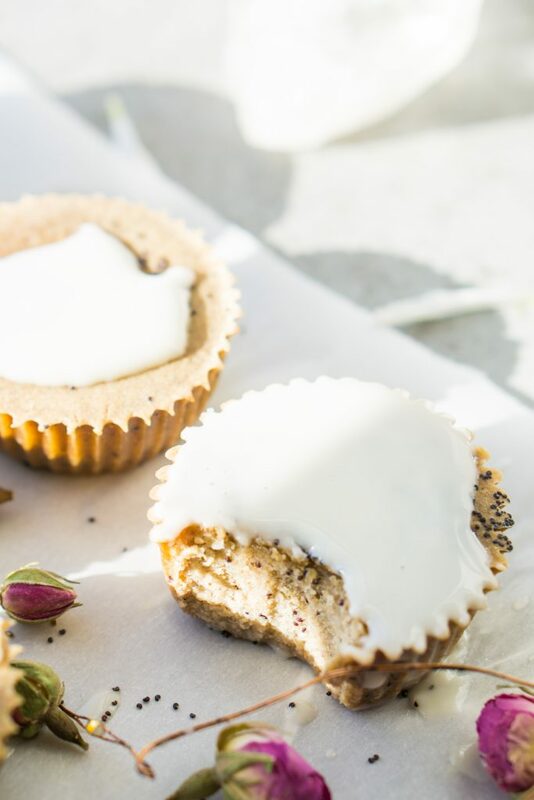 Really the story is to tell you just how much I loved these muffin’s and wanted to remake them using gluten-free seeds. The recipe calls for soaking your buckwheat and pumpkin seeds overnight to drain and blend to get the batter. Therefore I also love that this recipe is not using any processed ingredients whatsoever. I like to make believe this is a sort of a way that people used to bake back in the day with whole ingredients. 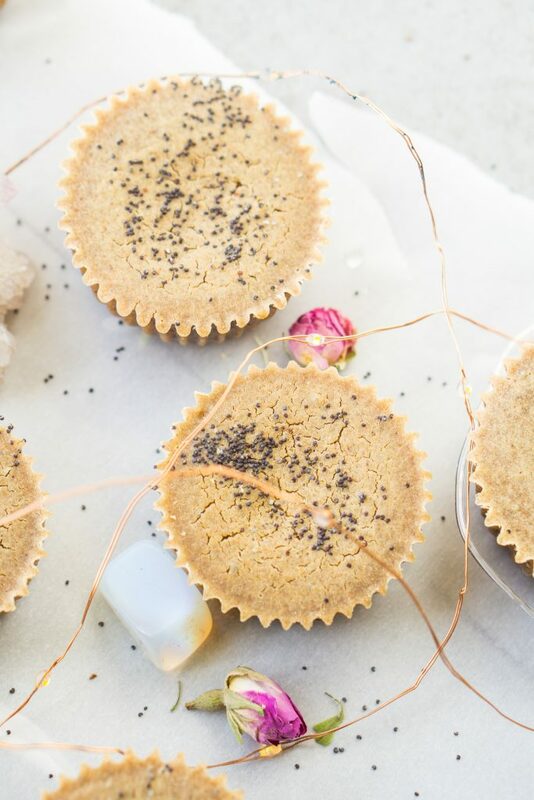 Poppy seeds come loaded with dietary fiber, a type of carbohydrate found in plant-based foods. They boast 3.4 grams of dietary fiber per 2-tablespoon serving — 14 percent of the recommended daily intake for women and 9 percent for men, according to the Institute of Medicine. Fiber not only adds bulk to your food and stool — which helps keep you feeling full and prevents constipation — but it also lowers your blood cholesterol levels. Following a diet rich in fiber promotes long-term health, reducing your chance of developing Type 2 diabetes. Poppy seeds also serve as good sources of calcium and copper, two essential minerals. 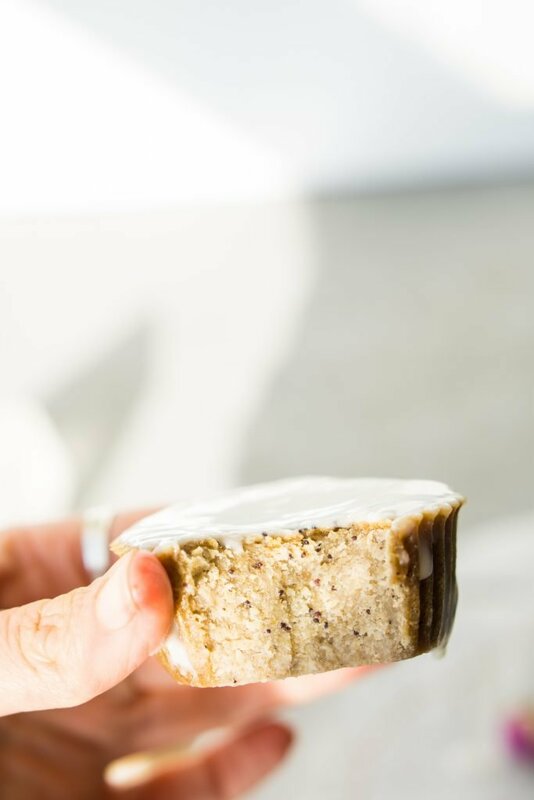 Each 2-tablespoon serving of poppy seeds provides you with 253 milligrams of calcium and 286 micrograms of copper — 25 and 32 percent of your recommended daily calcium and copper intakes, respectively. Calcium is renowned for its role in bone health, but it also helps your heart and nervous system function. Copper keeps your connective tissues strong, strengthens your bones and protects your DNA from damage. Phosphorus, along with calcium, makes up part of your bone tissue, while manganese makes collagen — a protein that protects your bones from damage. Consuming a 2-tablespoon serving of poppy seeds boosts your phosphorus intake by 153 milligrams — 22 percent of your recommended daily phosphorus intake — and provides 65 percent of the daily manganese intake requirement for women and 51 percent for men. Benefits sourced directly from https://www.livestrong.com/article/43927-poppy-seeds-nutritional-value/. Feel free to use honey or maple syrup to sweeten instead of raw monk fruit if you aren’t sugar-free. Pour all of your pumpkin seeds, & buckwheat groats into a 64 oz mason jar. Fill the jar with filtered water and place on top of the fridge or somewhere warm (around 80/85 degrees). Leave for 8-24 hours to fully sprout. 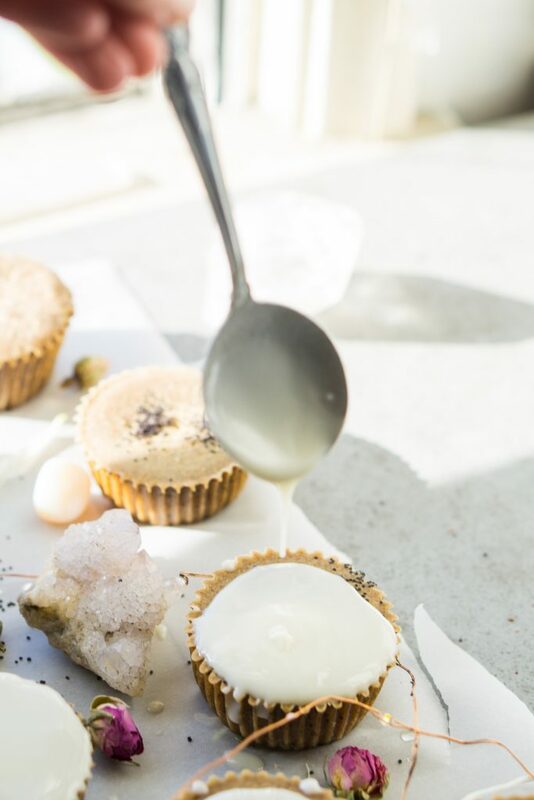 Blend all of the muffin batter with the soaked seeds, 3 cups filtered water, coconut oil, remaining ingredients except for the lemon poppy seeds. Now mix in the lemon poppy seeds. Bake the muffins for 18-20 minutes.